Tamiya's Liquid Surface Primer is perfect for smoothing over small scratches, holes, and gaps, and can be easily applied with a modeling brush. 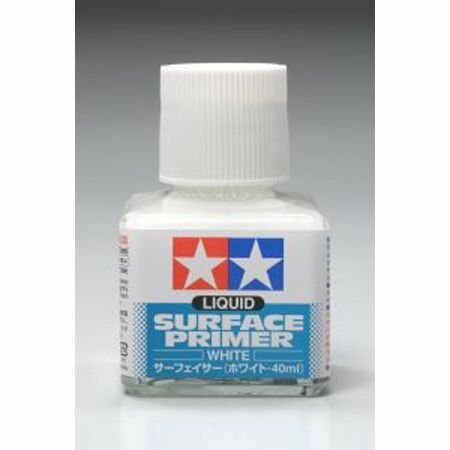 Furthermore, it can be thinned using separately available Tamiya Lacquer Thinner and applied with an airbrush, making this a very versatile tool for craft and hobby use. White color means it will not interfere with light colored paint finishes. Comes in a 40ml glass bottle.